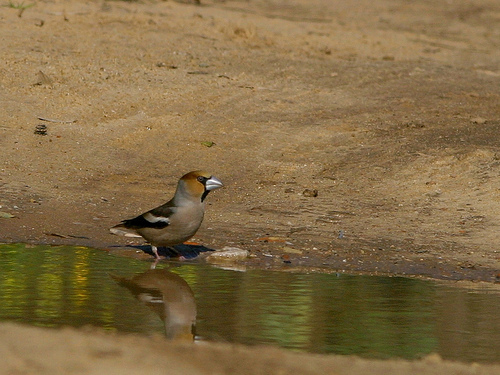 The Hawfinch is especially notable for its huge beak, with which it is able to crack cherry stones. But besides seeds it also eats caterpillars and insects. 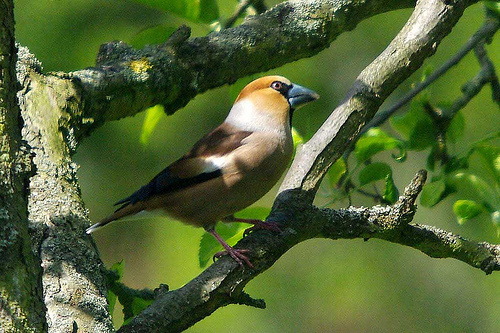 The Hawfinch is distinguished by its very large and strong beak.